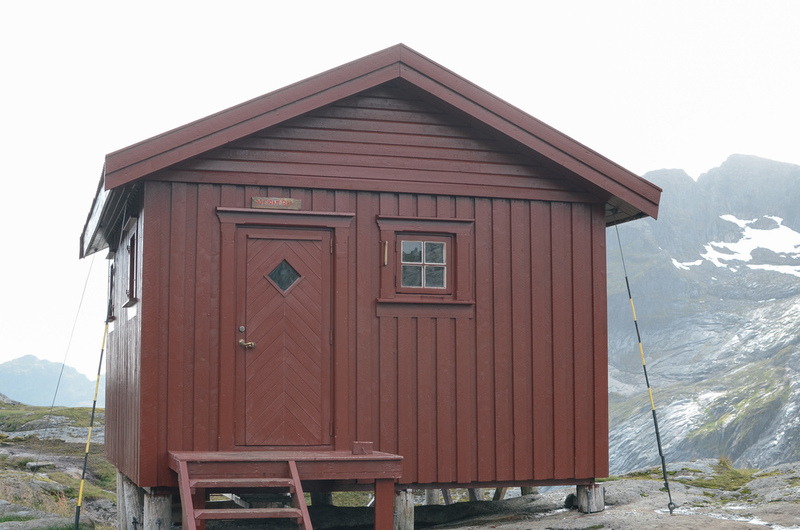 on our final day in lofoten we did the munken hut hike, as the trailhead was only a 20 minute walk from our hostel. 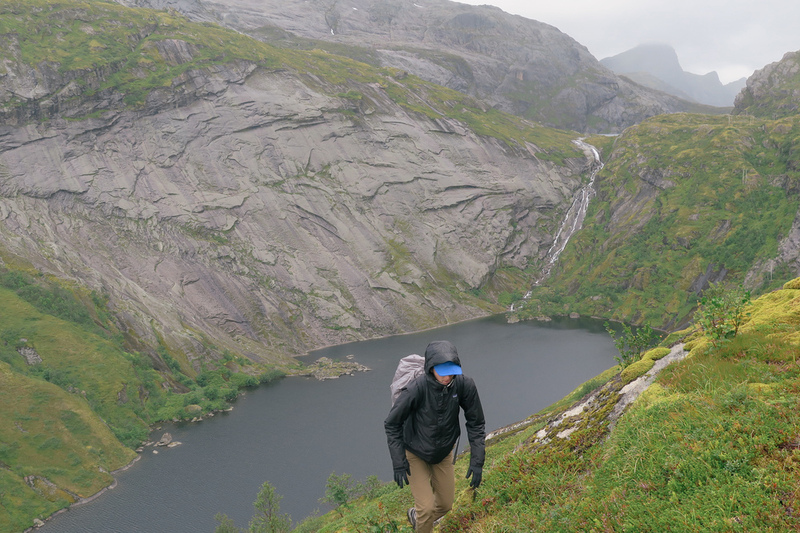 the weather was weird that morning, so we packed a bag full of every item we might need - weather pending. what-was-thought-to-be a somewhat moderate hike turned out to be one of the hardest most uncomfortable hikes i've ever done. because of all the rain, the trail was extremely muddy and slippery. our shoes were wet and filled with mud within the first hour and i was falling what felt like every 5 minutes. the wind picked up, temperatures dropped, rain fell and mud continued to get more and more slippery as the mountain became more and more steep. after climbing and climbing, we finally ended up at the huts which had a family cozied up inside with a fire playing cards. we peered in the windows and they smiled and waved, but did not look like they were planning to invite us in. other people set up camp here, however we quickly turned around after snapping a few photos. as much as we wanted to sit and hang, the wind was quite brutal. this all being said, i would highly recommend this hike if weather permits. the scenery is really crazy (coastal views, multiple glacial lakes, jagged mountain peaks) and the challenging climb felt great on the legs. 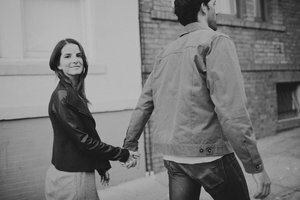 our experience was just pretty tough [though i'm happy we can at least say we did it]! and the views were of course, incredible. with better weather, it's easy to see why this hike is reviewed so highly amongst locals. 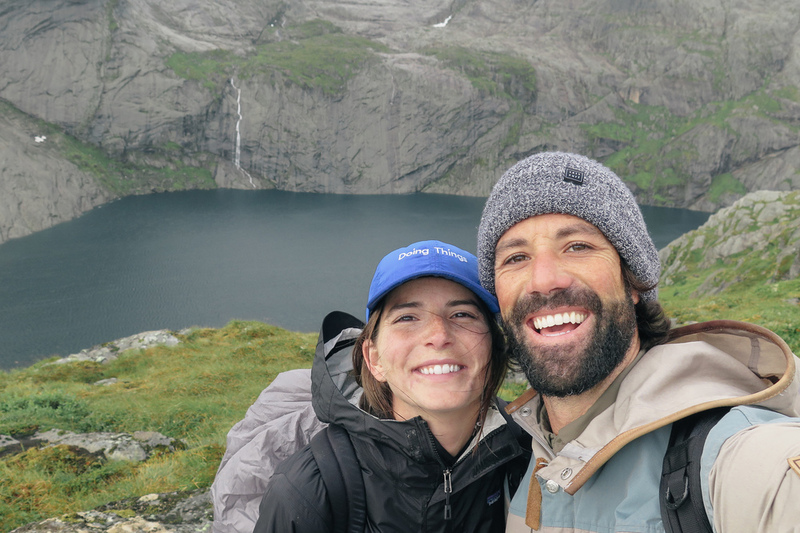 across our 3 hikes in norway we trekked 19 miles total and climbed 7,400 feet. stair-master with views!